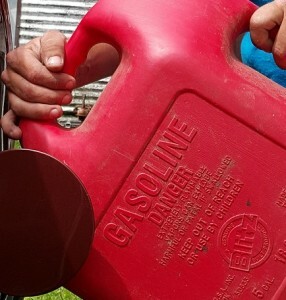 Need a Gas Delivery, Call Us for the fastest Service in the Lake Charles and Suphur area. It can be very aggravating, as well as put a damper on your day, when you run out of gas. Sometimes we just don’t realize how far the nearest store is, or we think “I can make it”. Whatever the reason may be, chances are that, if you have been driving for a reasonable amount of time, you have ran out of gas. This can be not only an embarrassing situation, but it can often times be a very difficult problem to solve. Often times you may be no where near a gas station, or may not have any one to call that’s free to come out. When this happens on a busy intersection, or even the interstate, it can be a dangerous situation. In cases where you are far from the nearest service station, we will even follow you to the store as well to ensure that you make it there. We also provide Emergency Roadside Assistance, Vehicle Unlocking Service, Jumpstarts and Tire Changes. So next time you find yourself out of gas, CALL US Discount Car Unlocking LLC at 337-764-2636 and we’ll get you back on the road…fast!